Heel pain accounts for one of the most common types of pain felt in the foot. Pain in the heel of the foot can be caused as a result of exercise, daily work routines or recreational activities. Some type of repetitive stress on the foot is often at the root of Heel Pain. The largest bone in the foot is the calcaneus, or heel bone. When we walk, the heel bone is usually the first part of the foot that hits the ground and is responsible for supporting much of the body’s weight. 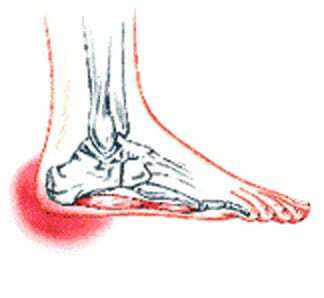 This makes the heel of the foot prone to injury.